The Edward Ball Nature Trail is a peaceful escape for students and visitors at the University of West Florida. This is a fantastic location to experience closeup a natural wetland. 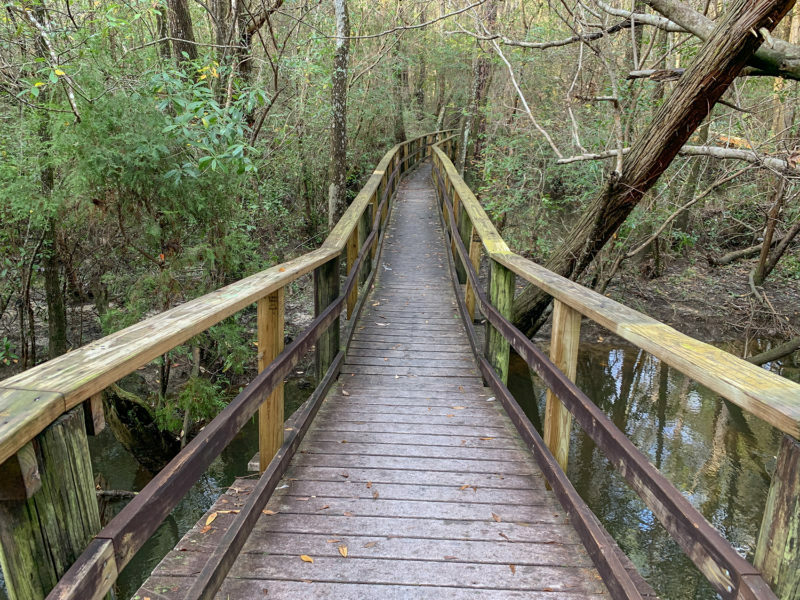 The trail is a one-mile loop on a raised boardwalk around Thompson’s Creek, a tributary of Escambia River. Thompson’s Creek is also a great place to paddle. There is a new launch near the trailhead of the Edward Ball Nature Trail. 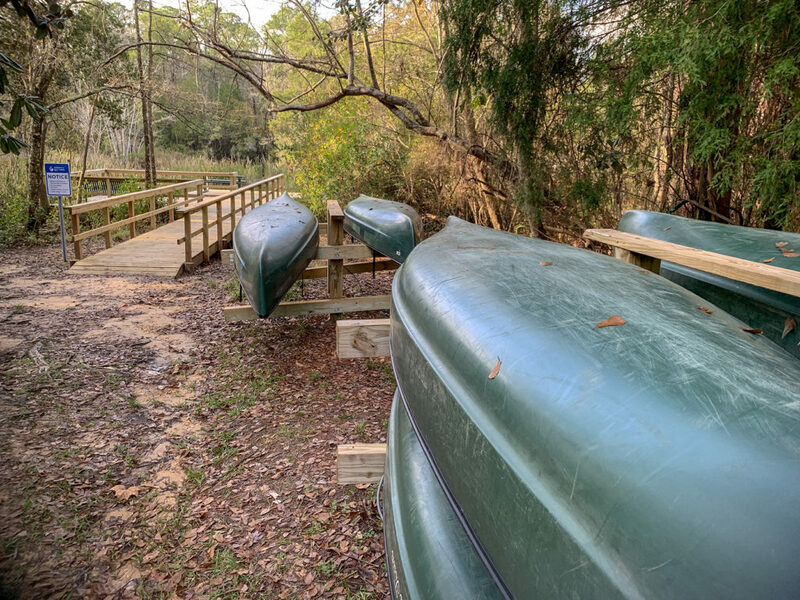 Students and alumni with Nautilus cards may check out canoes during regular school hours. If you are not a student or alumni you can bring your own gear to experience this beautiful paddling location. For more information, the Office of Recreation is in Building 72, Room 269, or call (850) 474-2586.